McDonald's is on a mission to eliminate artificial ingredients from its menu. Even the Big Mac Special Sauce is getting a makeover. 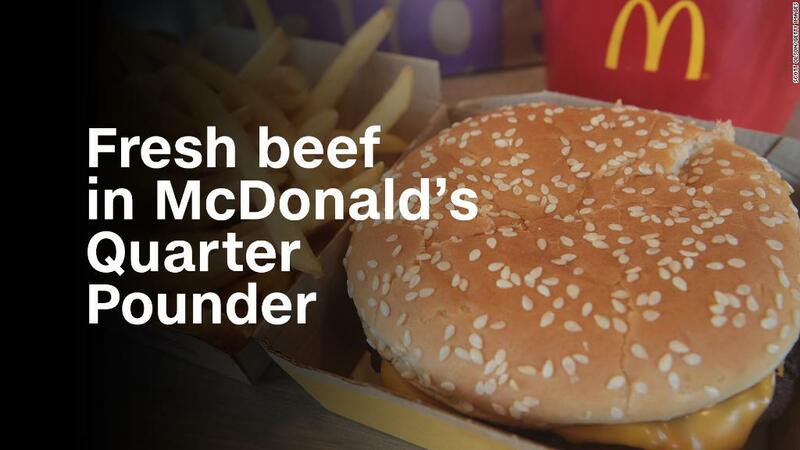 Its seven classic burgers -- the hamburger, cheeseburger, double cheeseburger, McDouble, Quarter Pounder with Cheese, double Quarter Pounder with Cheese and Big Mac -- will no longer include artificial preservatives, flavors or coloring. McDonald's (MCD) said it stripped components like calcium propionate, an artificial preservative, from its buns and eliminated sorbic acid, a preservative, from its American cheese. The iconic Big Mac Special Sauce is also being reformulated. McDonald's said it's removing artificial preservatives including potassium sorbate, sodium benzoate and calcium disodium EDTA without "sacrificing that signature taste." But one thing that isn't changing? The pickle. Those still contain an artificial preservative. "This development demonstrates our commitment to leading with the customer and building a better McDonald's," said McDonald's US president Chris Kempczinski in a statement. McDonald's is following an industry trend toward healthier food. Companies like Taco Bell, Subway and Panera Bread have all recently moved to nix artificial ingredients from their menus. In 2016, McDonald's eliminated artificial preservatives from its McNuggets and ditched high fructose corn syrup in its buns.